The AV Design Group provides and develops a bespoke training programme to suit your specific requirements when it comes to your SMART products in Business and the Education sectors. Training can be provided on site or in our selected training centres in the UK. 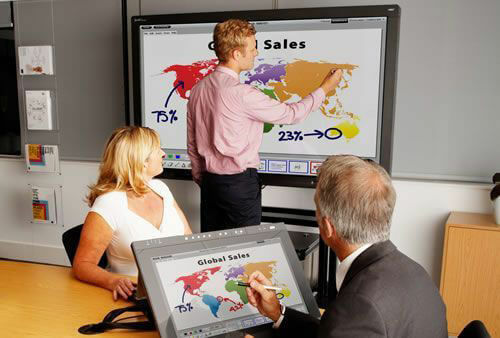 With SMART solutions; trainers and instructors can display and work with information on a large touch-enabled surface. Because our products are interactive, training participants can work with the material, write notes and navigate the content themselves. By presenting course material and concepts visually, trainers can help keep participants engaged and focused on learning, whether they’re in the same room or in a remote location. Trainers can also update course material live by writing notes in digital ink or by editing and saving files when group discussions bring about new information.